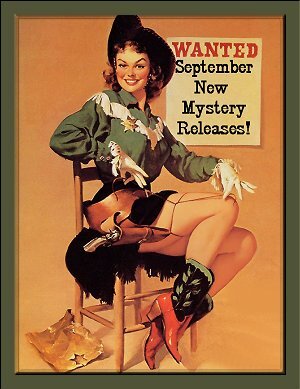 September 2013 New Mystery Releases! I don't know about you, but I can't believe it's almost Labor Day! My favorite season always flies by much too quickly. I've been motoring through books from my to-be-read shelves, which is a great feeling. I've created quite a few spaces throughout that run of bookcases, and they'll quickly be filled with new acquisitions. You'd probably get a good laugh watching me work on those shelves. I sort through the books to be shelved and make smaller alphabetical stacks. Then I get in my wheeled office chair and roll back and forth in front of the bookcases, shelving the books. Sure wish I could've done this when I was a kid working in our village library! September is another bumper crop of new crime fiction, and I had a difficult time keeping my list down to anything that remotely resembled a manageable level. My choices are all sorted by release date, and I've included all the information you'll need to find them at your favorite book procurement locations. All book synopses are courtesy of Amazon. Happy Reading! Synopsis: "Mykonos holds tight to its past even as it transforms from an obscure, impoverished Aegean island into a tourist mecca and summertime playground for the world’s rich, a process making the Mykonian people some of the wealthiest in Greece. Yes, the old guard is still a force to be reckoned with despite the new money. One of them, a legendary nightclub owner, has been found savagely bludgeoned in his home. All evidence points to obvious thugs. Yet the murder has put long hidden, politically explosive secrets in play and drawn a dangerous foreign investor to the island paradise. Andreas Kaldis, feared head of Greece’s special crimes division, is certain there’s a far more complex solution to the murder than robbery, and he vows to find it. His quest for answers cuts straight into the entrenched cultural contradictions that give Mykonos so much of its magic and soon has him battling ruthless opportunists preying on his country’s weakened financial condition. 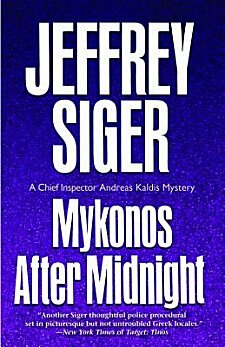 Kaldis learns there is a high, unexpected price to pay for his curiosity as he becomes locked in a war with a powerful, clandestine international force willing to do whatever it takes to change and wrest control of Mykonos, no matter the collateral damage. Such is global crime. And the need for a wily hero to stand against it." 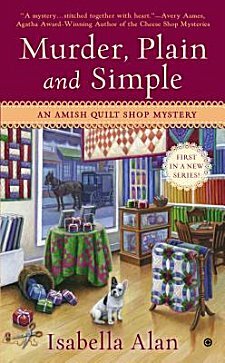 Synopsis: "When Angela Braddock inherits her late aunt’s beautiful Amish quilt shop, she leaves behind her career and broken engagement for a fresh start in Holmes County, Ohio. On the big day, Angie gets a taste of success as the locals and Englisch tourists browse the store’s wares while the quilters stitch away. But when Angie finds the body of ornery Amish woodworker Joseph in her storeroom the next morning, everything starts falling apart. With evidence mounting against her, Angie is determined to find the culprit before the local sheriff can arrest her. Rolling Brook always appeared to be a simple place, but the closer Angie gets to the killer, the more she realizes that nothing in the small Amish community is as plain as it seems...."
Synopsis: "This should be the cushiest job Alix London’s ever had. 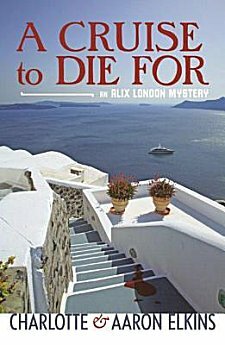 The second Alix London mystery finds the art restorer in a world brimming with idle luxury, spectacular locations, and deadly intrigue. Surrounded by art and wealth and the sun-drenched Greek isles, she’s aboard a sumptuous mega-yacht with no responsibilities save the occasional lecture to the guests of her temporary employer, Panos Papadakis, one of the world's richest men. But there’s a catch: Papadakis has long been suspected of being at the center of a multi-million dollar Ponzi scheme and Alix is actually there as an undercover operative of FBI special agent Ted Ellesworth, a member of the Bureau’s Art Crime Team. They hope Alix can gather the inside information they need to finally put the cagey Papadakis away. Alix’s exposure to the enormous wealth of high-end collectors and the shadier aspects of the art trade—the avarice, naked greed, and ingenious scams—somehow brings her closer to her charming, "reformed" rogue of a father, and helps crystalize in her own mind just where she fits into the mix. Moguls, murders, a forged Manet, and the Albanian mafia all play a role and send this pleasure cruise into brutally dangerous waters. Set on the Aegean—Homer's fabled 'wine-dark sea'—with stops at enchanted islands where ancient legends still live, A Cruise to Die For delivers a witty blend of suspense and mystery, as well as an insider’s take on the contemporary art world and its eccentric characters. It’s all served up with the style and sophistication with which Charlotte and Aaron Elkins have rewarded mystery readers for the past 30 years." Synopsis: "When a small-town Scottish woman discovers a severed leg in the boot of one of the local hockey players’ uniforms, it’s a big scoop for the Highland Gazette. But reporter Joanne Ross wants a front-page story of her own, and she hopes to find it in Mae Bell, an American jazz singer whose husband disappeared in an aircraft accident five years ago and who is searching the Highlands for her husband’s colleagues. Things take a very sinister turn when Nurse Urquhart, who dis-covered the limb, suffers a hideous and brutal attack. Even stranger, she was the recipient of letters warning her to keep her nose out of someone’s business—letters that Mae Bell and the staff of the Highland Gazette also received. What could it all mean? 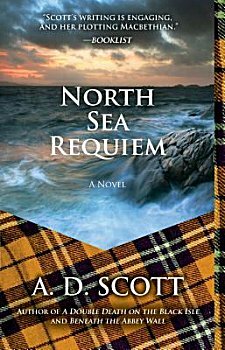 Unfolding against a gorgeously rendered late 1950s Scottish countryside, North Sea Requiem captures the mores and issues of another era, especially in Joanne Ross—a woman wrestling with divorce, career, and a boss who wants to be more than just her superior. The result is a poignant, often haunting mix of violence, loss, and redemption in a narrative full of unnerving plot twists and unforgettable characters." Synopsis: "The whole town of Lander has turned out for the big parade celebrating the start of the new rodeo season. The main spectacle this year is the appearance of Colonel Edward Garrett—a spot-on impersonator of General George Armstrong Custer—and a troop of men acting as the ill-fated Seventh Cavalry. The problem is they are being followed by a group of Arapaho warriors from the Wind River Reservation, who proceed to encircle Garrett and his men in a “dare ride” just to remind them exactly who won the Battle of the Little Bighorn. But when the ride is over, history seems to have repeated itself: Garrett is dead in the street with a bullet hole in his chest. 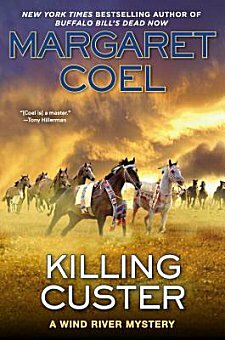 No one is sure what happened, but public sentiment quickly turns against the Arapaho—and the prime suspect is Colin Morningside, a descendant of Crazy Horse. When a local attorney connected to Morningside disappears, the accusations only grow stronger. Father John O’Malley knows in his heart the Arapaho are not guilty. And Vicky Holden finds herself professionally and personally compromised from getting involved. But what begins as a murder soon reveals itself as a conspiracy that neither Father John nor Vicky could have foreseen. And someone wants to ensure that the truth they discover will die with them…." Synopsis: "San Francisco antiques dealer Jim Brodie recently inherited a stake in his father’s Tokyo-based private investigation firm, which means the single father of six-year-old Jenny is living a busy intercontinental life, traveling to Japan to acquire art and artifacts for his store and con­sulting on Brodie Security’s caseload at home and abroad. One night, an entire family is gunned down in San Francisco’s bustling Japantown neighbor­hood, and Brodie is called on by the SFPD to decipher the lone clue left at the crime scene: a unique Japanese character printed on a slip of paper drenched in blood. Brodie can’t read the clue. But he may have seen it before—at the scene of his wife’s death in a house fire four years ago. With his deep array of Asian connections and fluency in Japanese, Brodie sets out to solve a seemingly perfect crime and at the same time learn whether his wife’s tragic death was more than just an accident. 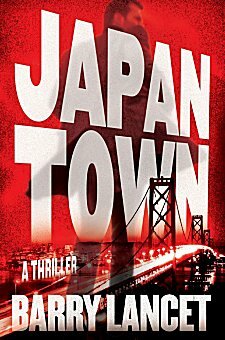 And as he unravels a web of intrigue stretching back centuries and con­nected to the murders in San Francisco, the Japantown killer retaliates with a new target: Brodie’s daughter." Synopsis: "Northumberland, November 1809. A menacing figure stalks women through Hareshaw Woods. When Helen Carnaby, a beautiful young heiress, disappears from her locked bedchamber, everyone fears the worst. The townsfolk cry 'witchcraft' and the local constabulary are baffled. Detective Stephen Lavender and Constable Woods now face their toughest and most dangerous assignment. Lavender and Woods are alarmed to discover a sinister, murderous world of madness, violence, and secrets lurking behind the heavy oak door of the ancient pele tower at Linn Hagh. Why did Helen Carnaby flee on that wintry October night? Hindered by Helen's uncooperative siblings, distracted by gypsies, rebellious farmers, highwaymen, and an attractive and feisty Spanish senora, Helen Carnaby's disappearance is to prove one of the most perplexing mysteries of Lavender's career. 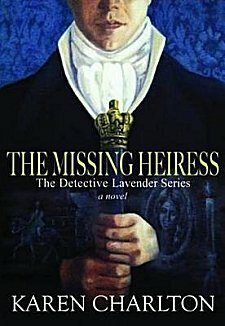 Set in the beautiful market town of Bellingham, The Missing Heiress is the first in a planned series of Regency whodunits featuring Detective Lavender and Constable Woods." Synopsis: "Two dead men changed the course of my life that fall. One of them I knew and the other I’d never laid eyes on until I saw him in the morgue. In this multi-layered tale, the surfaces seem clear, but the underpinnings are full of betrayals, misunderstandings, and outright murderous fraud. And Kinsey, through no fault of her own, is thoroughly compromised." Synopsis: "Paris, France: September 1929. For Harris Stuyvesant, the assignment is a private investigator’s dream—he’s getting paid to troll the cafés and bars of Montparnasse, looking for a pretty young woman. The American agent has a healthy appreciation for la vie de bohème, despite having worked for years at the U.S. Bureau of Investigation. The missing person in question is Philippa Crosby, a twenty-two year old from Boston who has been living in Paris, modeling and acting. Her family became alarmed when she stopped all communications, and Stuyvesant agreed to track her down. He wholly expects to find her in the arms of some up-and-coming artist, perhaps experimenting with the decadent lifestyle that is suddenly available on every rue and boulevard. Soon it becomes clear that one missing girl is a drop in the bucket. Here, amid the glittering lights of the cabarets, hides a monster whose artistic coup de grâce is to be rendered in blood. And Stuyvesant will have to descend into the darkest depths of perversion to find a killer . 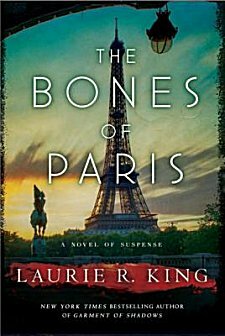 . . sifting through The Bones of Paris." Synopsis: "The year is 2019, and a drug used to treat soldiers for post-traumatic stress disorder, nicknamed 'Lullaby,' has hit the streets. Swallowing a little pill erases traumatic memories, but what happens to a criminal trial when the star witness takes a pill and can't remember the crime? When two women are murdered in quick succession, biracial police detective Hannah McCabe is charged with solving the case. In spite of the advanced technology, including a city-wide surveillance program, a third woman is soon killed, and the police begin to suspect that a serial killer is on the loose. 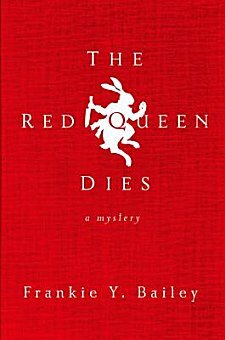 But the third victim, a Broadway actress known as 'The Red Queen,' doesn’t fit the pattern set by the first two murders. With the late September heat sizzling, Detective Hannah McCabe and her colleagues on the police force have to race to find the killer in a tangled web of clues that involve Alice in Wonderland, The Wizard of Oz, and Abraham Lincoln’s assassination. 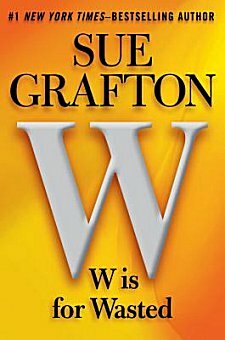 Fast-paced and original, this is a one-of-a-kind mystery from an extremely talented crime writer." Synopsis: "After losing her husband, Rosie Lee could have become one of Singapore's 'tai tai,' an idle rich lady. Instead she is building a culinary empire from her restaurant, Aunty Lee's Delights, where spicy Singaporean meals are graciously served to locals and tourists alike. But when a body is found in one of Singapore's tourist havens and one of her guests fails to show at a dinner party, Aunty Lee knows that the two events are likely connected. 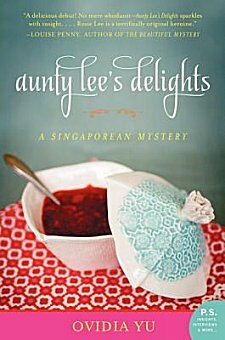 Wise, witty, and charming, Aunty Lee's Delights is a spicy mystery about love, friendship, and food in Singapore, where money flows freely and people of many religions and ethnicities coexist peacefully, but where tensions lurk just below the surface, sometimes with deadly consequences." 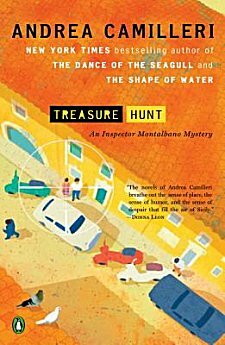 Synopsis: "In Treasure Hunt, Montalbano is hailed as a hero after news cameras film him scaling a building—gun in hand—to capture a pair of unlikely snipers. Shortly after, the inspector begins to receive cryptic messages in verse from someone challenging him to go on a 'treasure hunt.' Intrigued, he accepts, treating the messages as amusing riddles—until they take a dangerous turn." Between her work for Sir Arthur, preparing for Christmas, and unscheduled visitors from her past, Hattie hardly has time to investigate a murder, but soon she is lost in a labyrinth of secrets and deceit that leads to more questions than answers. Henry had a knack for finding trouble and making enemies, and there's no shortage of suspects-including Sir Arthur. 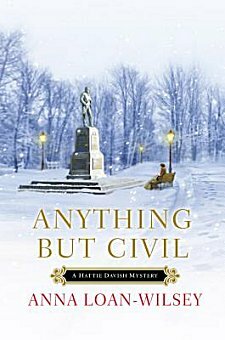 Now, Hattie must uncover the truth while maintaining her civility in a most uncivil situation...."
Synopsis: "John Sevier had not taken much interest in the American Revolution, he was too busy fighting Indians in the Carolinas and taming the wilderness. But when an arrogant British officer threatened his settlement—promising to burn the farms and kill families—the war became personal. That arrogant officer is Patrick Ferguson of the British Army—who is both charmingly antagonistic and surprisingly endearing. Inventor of the Ferguson rifle, and the devoted lover to his mistress, Virginia Sal, Patrick becomes a delightful anti-hero under McCrumb’s watchful eye. Peppered with lore and the authentic heart of the people in McCrumb’s classic Ballads, this is an epic book that will build on the success of The Ballad of Tom Dooley and her recent return to the New York Times bestseller list. Featuring the American Revolutionary War, this a huge draw to readers old and new, and special to McCrumb who can trace her lineage to the character John Sevier." I know that the latest Sharyn McCrumb novel doesn't sound much like a mystery, but I love her Ballad series so much that it was impossible for me to leave it out. September seems to have a little something for everyone, doesn't it? Which titles found their way to your own personal wish lists? LOL I know the feeling, Margot! With all these delicious looking books and a new Louise Penny and a new J. A. Jance, I think I've just hit Nirvana. I'm going to have to resign as a homemaker or something - I just want to read, read, read. Sigh. 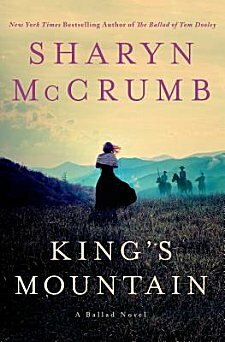 I wish Sharyn McCrumb had continued with her Elizabeth MacPherson series; I just never warmed to the Ballad series. Oh, what? More King, Grafton, Siger and Camilleri? Not to mention several other books I'd like to try. Why don't I just shut the door, not answer the phone or pay bills and just order food delivered for about three months? That should do it -- until the next rounds of new releases catch up with me. I could tell everyone I'm on a reading leave. Hey now I *like* that... a reading leave. Perfect!